Today was the day my co-worker, C and I have been waiting for all year. We received the invitation last Friday and we’ve been planning and strategizing ever since, determined to make this one the best ever. Today was our company’s annual Thanksgiving Luncheon. Each year, on the Wednesday the week before Thanksgiving, they throw out an enormous spread for all 500 employees. 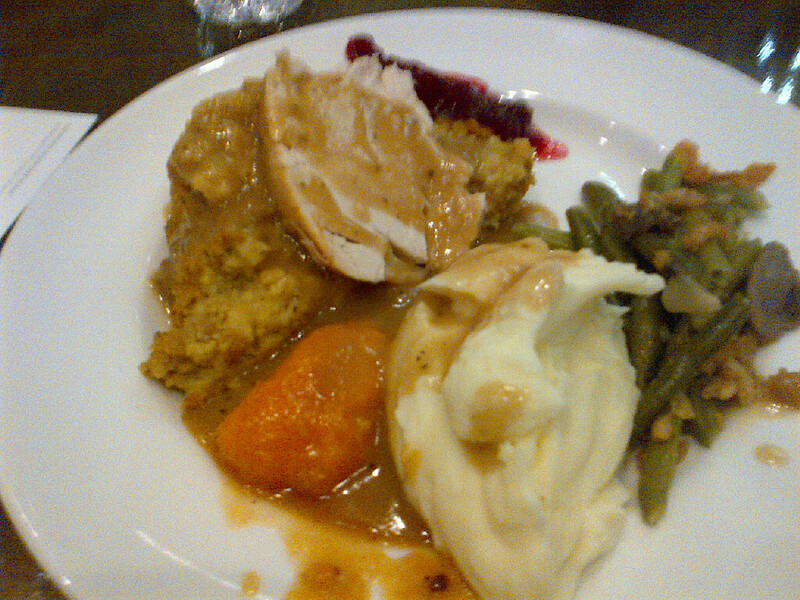 Turkey, dressing, gravy, mashed potatoes and sweet potato casserole, a selection of salads, bread and rolls. 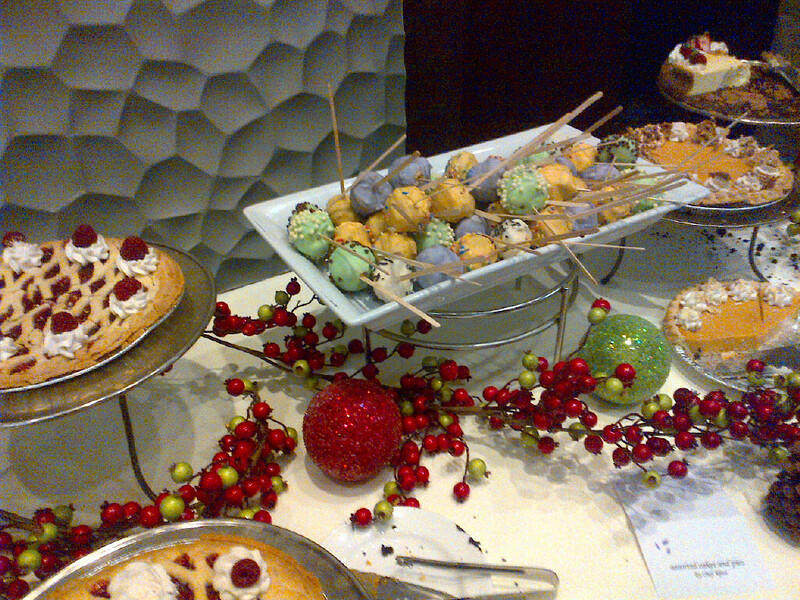 A huge dessert display with pies, cakes and cookies, coffee, tea and all kinds of beverages. Of course, it’s all you can eat and Thanksgiving food (turkey, dressing and gravy) is my absolute favorite food of all, so I can put away my share. It’s kinda shameful, but C and I train for this, eating small meals for several days in advance. We even forgo breakfast in anticipation. And each year, we try a little of everything and each year we end up stuffed to the gills, waddling back to the office and laying our heads on the desk feeling like beached whales. Not only am I happy for such a lovely meal, but I’m happy to have a job (many don’t) and mostly, I’m happy to have such a great team to work with. C is awesome and makes my job bearable. My boss is not only fair, but funny and cool and he always has my back. The other managers in my department are supportive and help me do my job. That’s important. It’s also important to be grateful, and I am. So an early Thanksgiving, in many ways. This entry was posted in NaBloPoMo, nano poblano, you'll hurt yourself and tagged nablopomo, nano poblano, team pepper. Bookmark the permalink. So many blessings – co workers, boss, a company that treats you well. That’s a whole lot of goodness to be a part of each day. It looks delicious. It’s the season. Next week I will be making my Turkey dinner. Happy Thanksgiving. Oh Deborah, it was so good. I had seconds of dressing and mashed potatoes swimming in gravy. And pie. 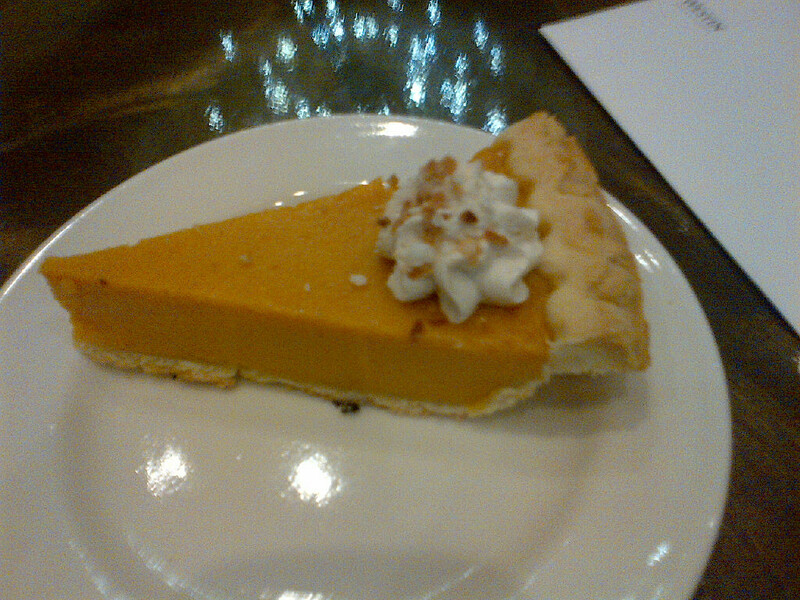 And I so look forward to Thanksgiving with my family next week (and more pie). Happy Thanksgiving to you too! Yes, it is, We Admitted We Were Powerless, and I need to be more grateful for it. My job can be very frustrating, but at least I have that kind of support around me. I’ve worked places where I haven’t had it and it was horrible.